With winter showing its cold ugly face, if you’re anything like this California kid, you’re probably already dreaming of warmer climates. As Rustic’s International Photography Manager, I’ve visited each of our destination countries and personally felt that big ball of fire’s warmth on every continent but one. So journey with me as we shake out those chills, pull off that winter coat, grab our shades, and imagine ourselves in some of the world’s best warm weather destinations! One of our hottest destinations on our list, both literally and figurative, if Fiji! With more than 332 island that make up this stunning country, setting your sails for these island of the South Pacific pacific will ensure you’ll find the warmth you’re looking for. Crystal clear… there’s a reason they truck Fiji Water half way around the world to your grocery store! 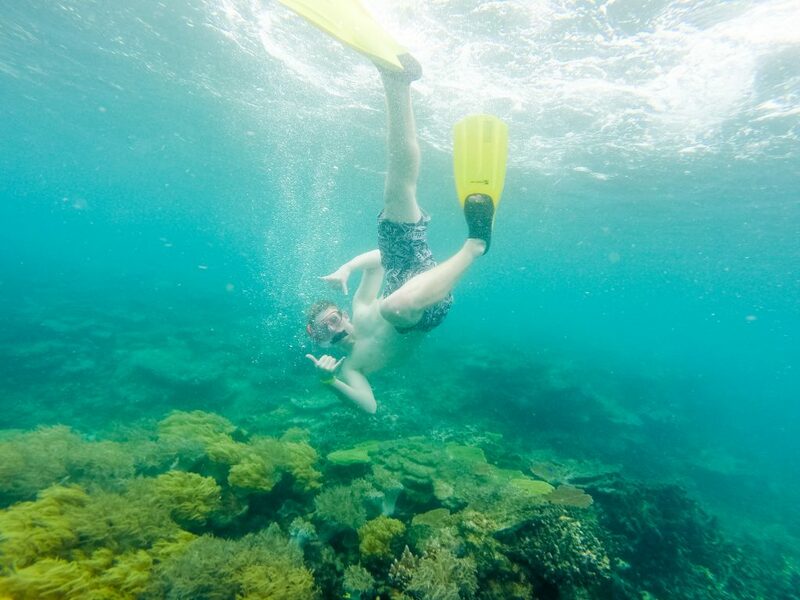 If you’re in the mood for a game of hide and seek, grab a snorkel, mask, and fins and take a dip in Fiji’s tranquil waters. If vertical water is more your speed than saltwater waves, come with me to Fiji’s interior. 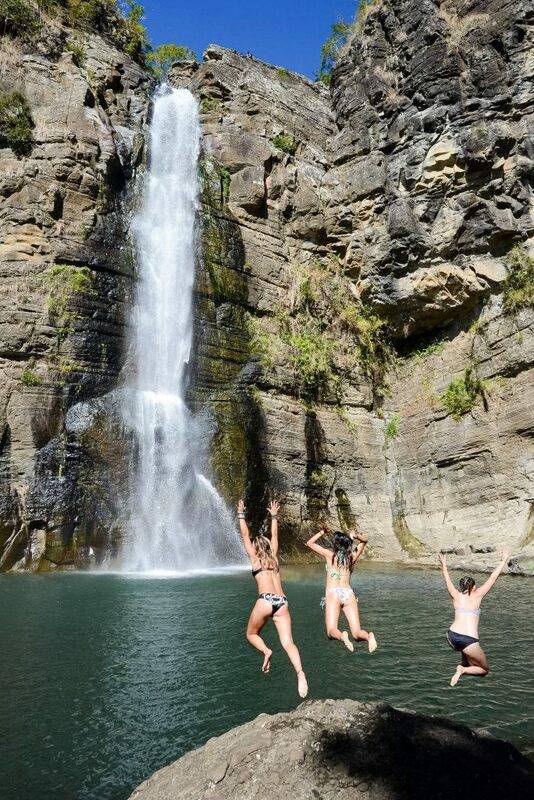 While it may take us a few hours up a bumpy dirt road, Fiji’s Highlands are breathtakingly picturesque and that doesn’t begin to describe the waterfalls. Having traveled to 39 countries and crisscrossed the globe my fair share of times, I’ve met a lot of people… a LOT of people. None compare to the friendless of Fijians. They’re the most welcoming people you’ll ever meet and those words don’t even begin to describe the warmth you’ll experience spending time with local children. With only 170 miles separating Costa Rica’s Caribbean Sea and the Pacific Ocean you don’t have to travel far to experience the warm beauty that makes this bio-rich destination one of our top picks for warm weather. If you like your warm weather with a bit of time travel, Cuba is your destination of choice. 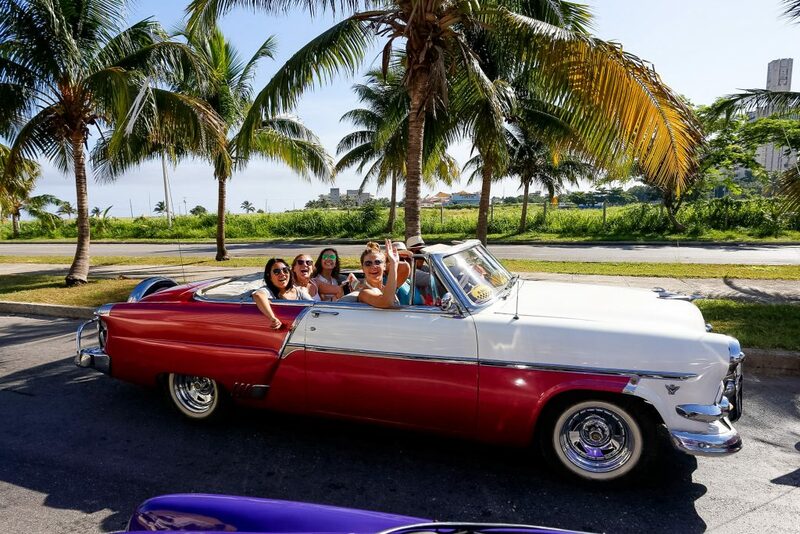 With travel more open today than any time before and flight times from mainland United States to Havana clocking in at just one hour and ten minutes… hopping into a classic Chevy and feeling the warm air run through your hair is closer than you could imagine. 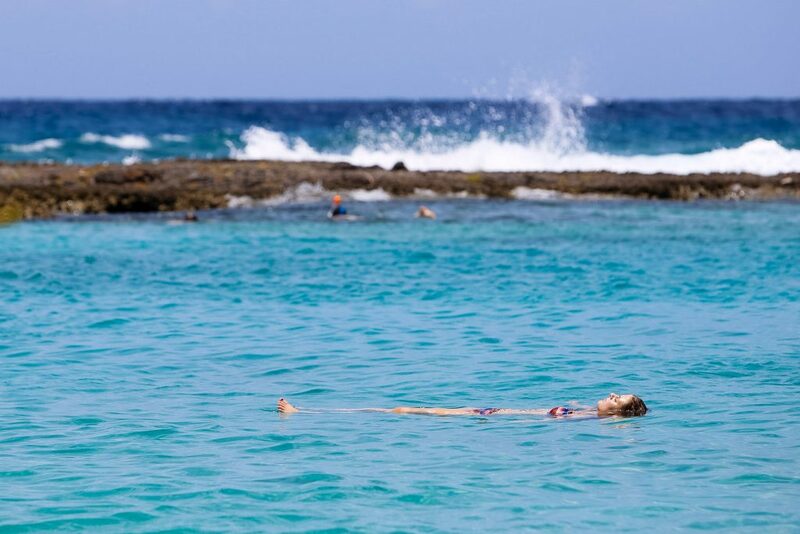 With more than 3,500 miles of coastline – that’s more than the entire width of the United States – finding cool, tranquil waters to relax won’t be a problem whatsoever. 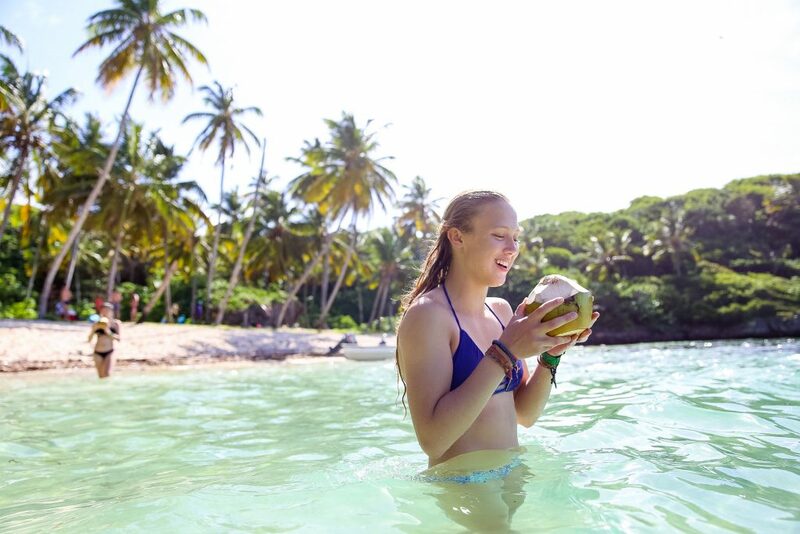 Let me tell you about the best beach I’ve ever visited in my life…in the Dominican Republic. It’s so isolated you can’t even get there without the help of a beautiful steed. You’ll come around a bend and take it all in for the first time feeling like you’re in a scene from the movies. Oh… It’s amazing. Really amazing! 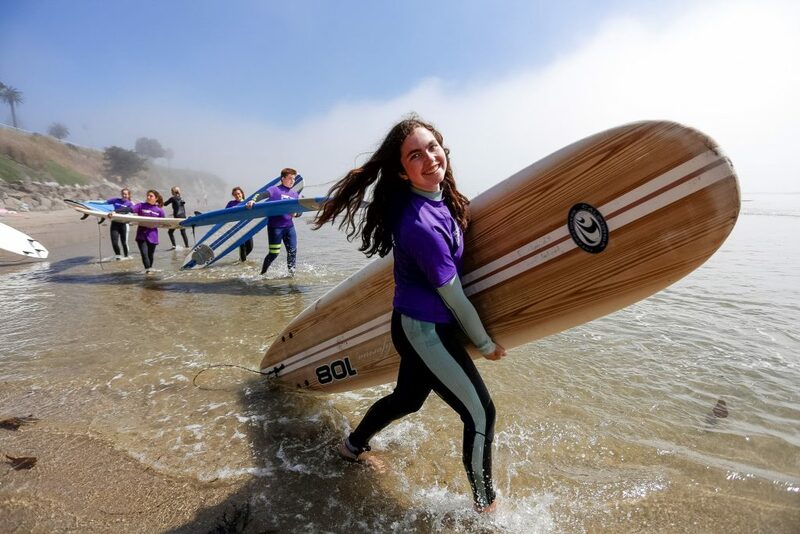 Now who could imagine sunshine and surfboards and sunshine without the words California! While it may be dumping feet of snow out east, there’s always sunshine to be found on California’s coasts! 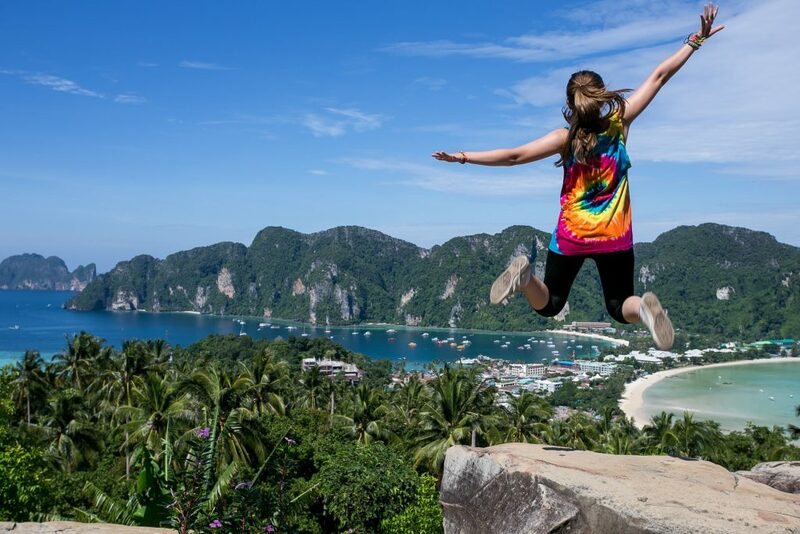 If you didn’t already know it, Thailand is called the Land of Smiles. Having recently visited a few of the hundreds of islands in the country’s south, I may know why. Some of the most beautiful, serene beaches in all of Asia evoke that expression. Add to that inexpensive eats and friendly travelers from afar, and there’s not really much more to ask for. 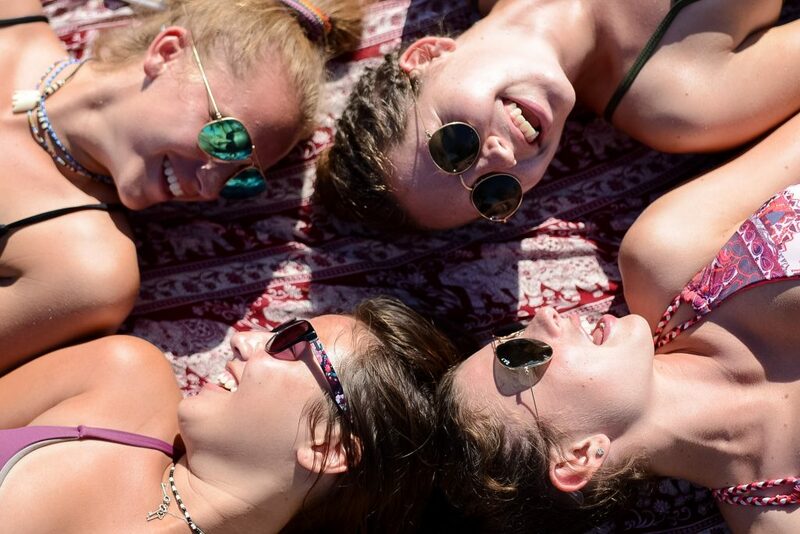 Because you’d never want to go it alone… Grab your friends and don’t forget your sunnies—what Australians call their shades. 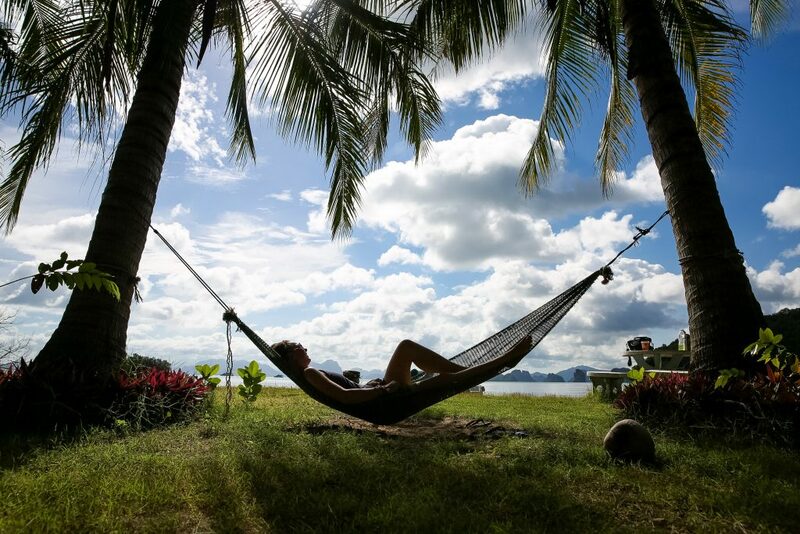 Ahhh… if only we could dream… in this hammock right here! Won’t you come with us? Inspired? Request a Request a CatalogRustic Pathways catalog today!